A simple style of card today but I really wanted to showcase the All the Good Things stamp set. Beautiful images and sentiments to match. 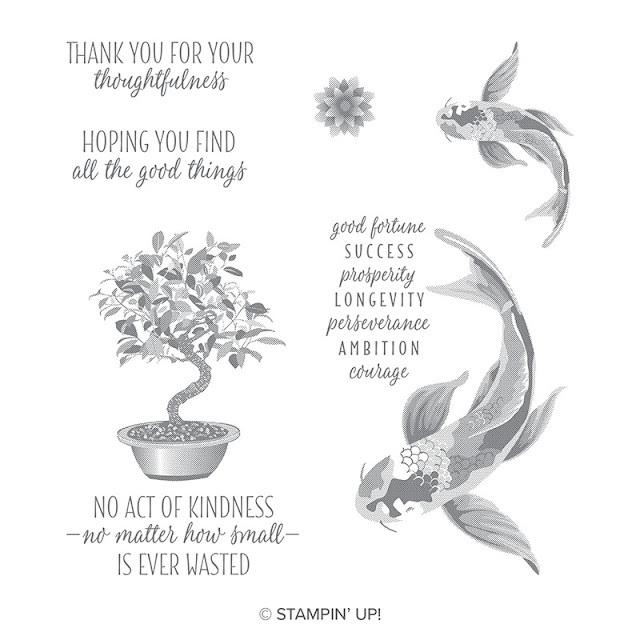 This stamp set is from the Distinktive range and stamp beautifully. The images below are stamped once in one colour of ink but have all the shading and depth in one step! 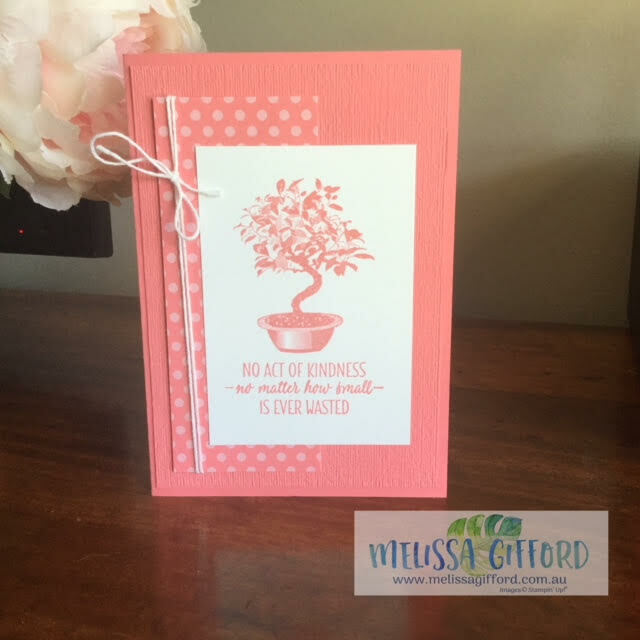 I made the same card in two colours - Highland Heather and Flirty Flamingo. 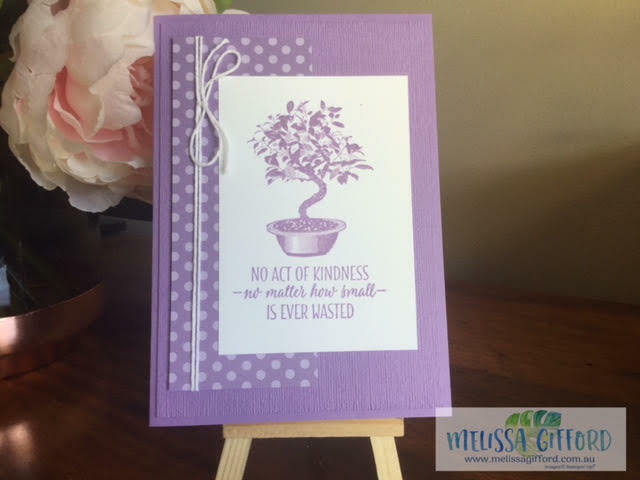 I used the Subtle embossing folder to create an extra layer of dimension and added the coordinating designer series papers. A simple loop of twine and a bow and my cards were done. I found this design on Pinterest and love the layout - I will use it again for sure. Quick, simple and easy to mass produce. It's hard to see in the photos but I have used the Wink of Stella pen over the leaves for a bit of sparkle.